One day walking through Target I came across these pictures in the home goods department. I instantly fell in love with them but not their price. 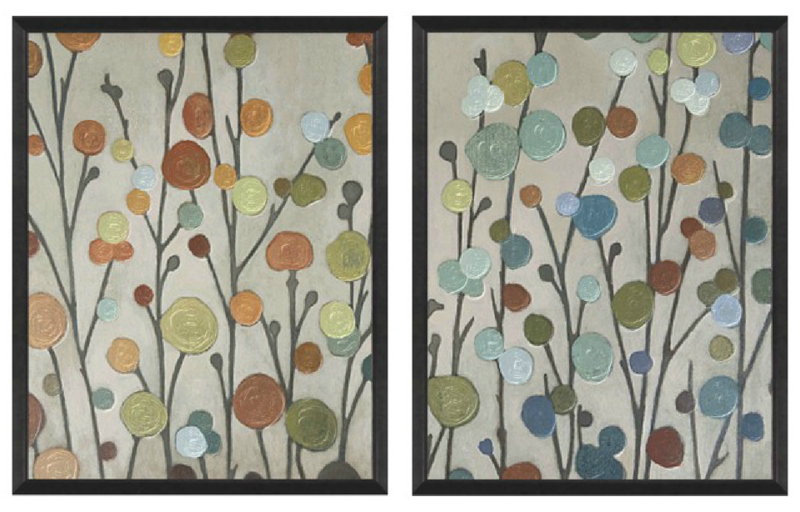 At $49.99 each I just wasn't ready to make the commitment since I thought I could make something similar. 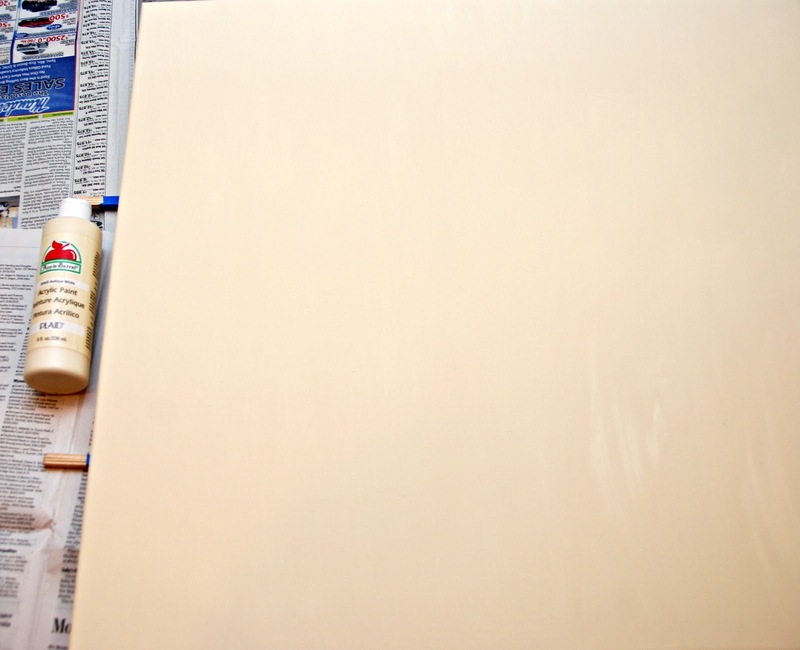 I started out with a 36"x24" canvas and a used a foam brush to apply antique white acrylic craft paint to the entire canvas. 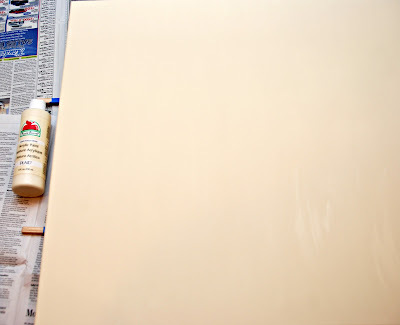 To paint the sides of the canvas without it sticking to the newspaper, I taped a couple of popsicle sticks together and stuck them under the edge of the canvas. 2 groups per side. 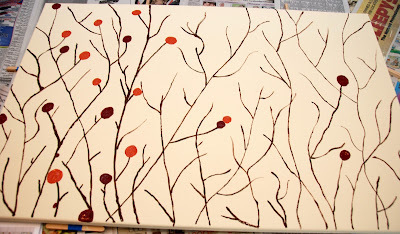 Once the antique white paint dried, I used a small artist paint brush and added branches with brown paint. 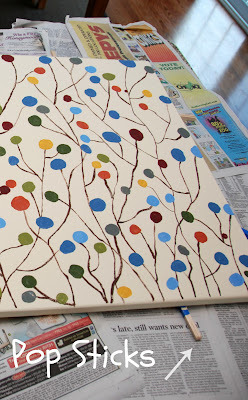 After the brown paint dried I began randomly adding circles on the branches. 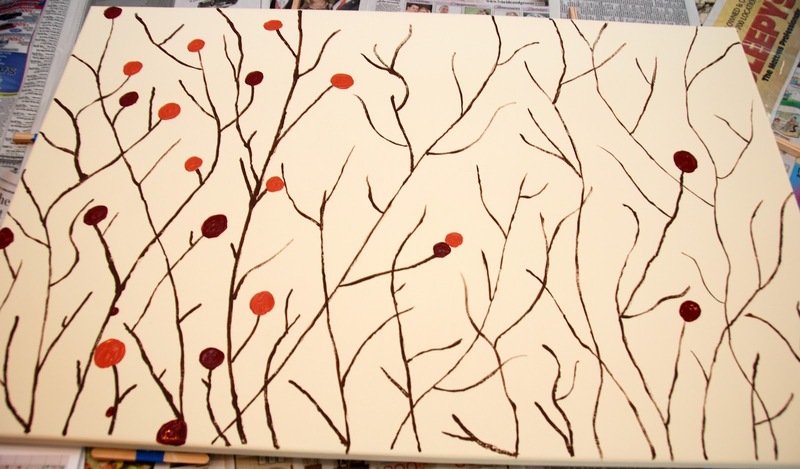 Don't be afraid to add more branches or stick a dot on the side of a branch. The randomness is what makes the piece original and fun. Plus, you can totally match it to any decor by using whatever colors you want. Here it is up on my office wall. Ignore the desk, it still needs to be refinished...I'm thinking black paint and silver hardware. If you make a piece like this let me know, I'd love to see it! I love this DIY art idea. 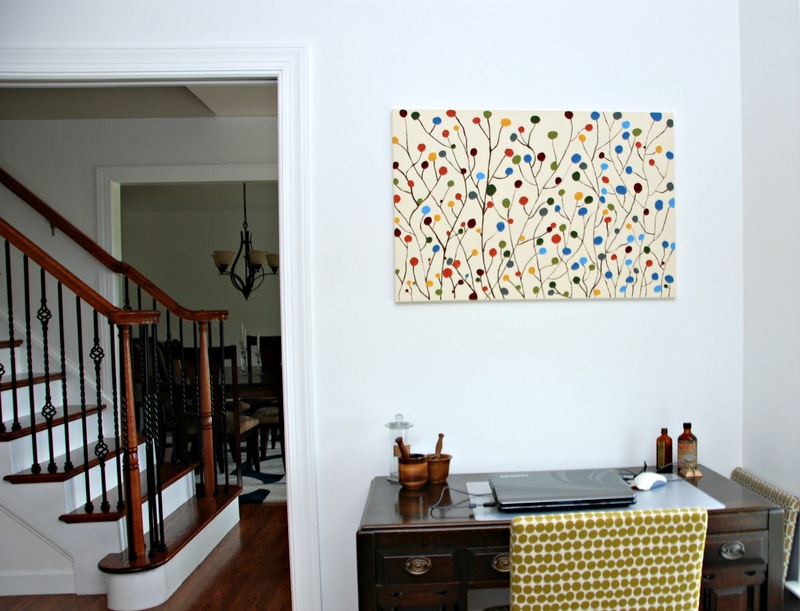 I've been gathering some ideas for creating some inexpensive art for around the house. Thanks for the inspiration! Thanks! 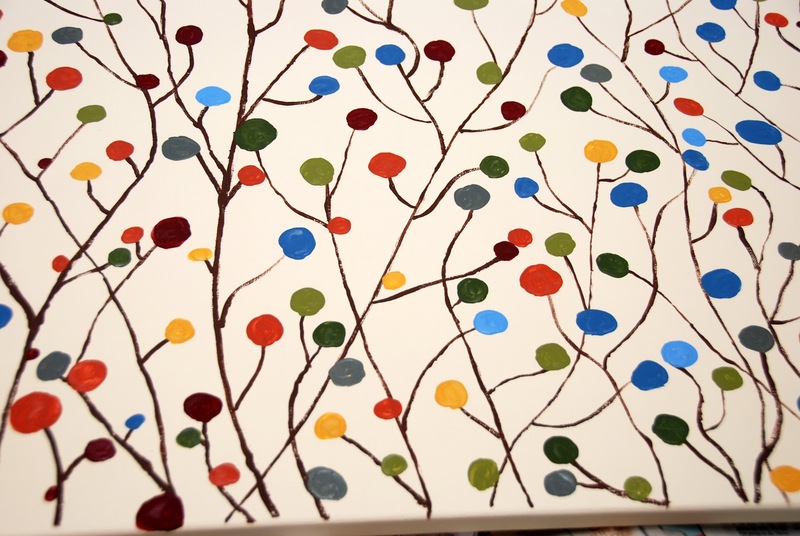 Let me know if you make one, I would love to see it!